We are the largest USA Bulk and Wholesale Suppliers of Zero THC Full Spectrum Hemp Oil, Hemp Derived Pure CBD, Organic Hemp CBD, CBD Pills, CBDA, CBG oil, CBN oil, CBC oil, ​Pure Hemp Oils, ​Terpenes, Fully Legal Farm Bill CBD, Hemp CBD Oils, CBD Isolate, CBD Soft Gels, Water Soluble Nano CBD, CBD Concentrates, CBD Crumble, CBD E-Liquids, CBD Crystals, CBD Wax, CBD Shatter, CBD Crumble, CBD Coffee, CBD Gummies, CBD Syrups, CBD Edibles, CBD Balms, CBD Creams, CBD-Rich Full Spectrum Tinctures, CBD Water, CBD for Animals, Bulk CBD, Wholesale CBD, CBD Patches, CBD Chocolate​, CBD-Rich Raw Materials, White Label CBD, CBD Cigarettes, Private Label, ​Transdermal Patches,and Custom Made CBD Finished Products, Hemp CBD Manufacturing, High CBD Hemp Flower. 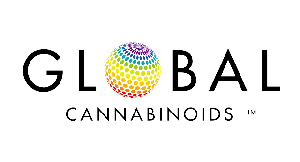 Our mission at globalcannabinoids.io is simple: Deliver the highest quality industrial hemp-derived phytocannabinoids as quickly as possible to our customers. In order to accomplish this, we have partnered with the BEST of the BEST in each vertical within our industry. We are NOT brokers, nor do we work with them. We are the only bulk & wholesale global hemp CBD supplier that is strictly B2B. The largest Department of Agriculture registered hemp farms in Oregon, Colorado, and North Carolina. The #1 cannabis terpene supplier in the world. Our global hemp farming plan is now active and producing thousands of fresh CBD oil kilograms year round. As a result of our hard work and dedication to delivering to our customers consistently, reliably, and in a timely manner, we have created the world's largest and most efficient phytocannabinoid rich industrial hemp supply chain system. We have leveraged our unique hemp genetics in order to provide our farmers with plants that are high in CBD, CBG, CBN, CBC, and other rare and unique naturally occurring synergistic cannabis compounds. We provide our farmers with the clones from these unique and proprietary genetics in order for them to be assured the highest success rate possible. Before and after each harvest, our farmers test the plant material to ensure the absence of pesticides, heavy metals, molds, or mildews. After testing is completed, our farmers then process and ship the phytocannabinoid rich plant material to one of our licensed extraction facilities who then turn the biomass into full spectrum oil or isolate. Once turned into oil or isolate, each batch is then assigned a unique barcode and certified at one of our testing labs before being shipped directly to our bulk customers or to our GMP manufacturers to be made into finished products. Upon completion of production into finished products, we then batch test and randomly test each product once again to ensure accurate potency, purity, and dosing. From there, the products are shipped with seed-to-sale traceability directly to our customers located around the world. From there, the products are shipped directly to our customers located around the world. 100% Grown, Processed, and Packaged in the USA! All of our bulk and wholesale CBD products originate from American grown phytocannabinoid rich (PCR) hemp. Our cannabinoids are tested, packaged, and processed in the great States of Colorado, Oregon, and North Carolina, USA. All finished products are manufactured using GMP or ISO certified processes. We are the largest bulk distributors of organic, domestic, medicinal hemp CBD oil in North America. Our unique and proprietary strains of high CBD / low THC cannabis hemp produces naturally more beneficial cannabinoids and terpenes than any landrace or hemp strain found in European or Chinese industrial hemp! While everyone else was cross-breeding strains of cannabis to produce more THC, our genetics team was creating cannabis strains to produce less THC (even to zero), and greater amounts of more non-psychotropic cannabinoids such as CBD, CBC, CBG, and CBN. Because our proprietary strain genetics produce naturally less than .3% THC, we are able to register them with the State Departments of Agriculture in Colorado, Oregon, and North Carolina as "industrial hemp". Our farming partners were issued some of the first hemp licenses in the USA in 2014. All of our American hemp CBD plants are grown and distributed in full compliance with the Departments of Agriculture in Oregon, Colorado, and North Carolina, as well in full federal compliance with §7606 of the 2014 US Farm Bill and 2018 US Farm Bill and can be sold in nearly all states. ​Our Colorado, Oregon, & North Carolina farms produce the highest quality CBD rich Industrial Hemp in the USA. We are the largest US producers, manufacturers, and distributors of bulk and wholesale phytocannabinoid rich (PCR) Industrial Hemp that is naturally high in CBD, CBG, CBC, CBN, CBDA, & Terpenes. Zero means absolutely no detectable levels of THC. We distribute one of the only hemp CBD oils that contains zero THC and is not diluted down or recreated using a pure CBD isolate. ​Our proprietary extraction process uses the entire plant for a full-spectrum oil, containing a large amount of naturally present cannabinoids such as CDB, CBG, CBC, ​CBN, CBDV, THCA, CBDA, and over 60 terpenes we have identified that are naturally present in our extract. ​We use the latest distillation extraction technology which allows for high levels of cannabinoids especially CBD, CBG, CBC, and CBN, while eliminating unwanted amounts of THC, ​chlorophyll, lipids and fatty acids. ​On-site chromatography and HPLC testing ensures accurate levels of cannabinoids and confirms that​ levels of THC are >.3% or that THC has been completely removed through our proprietary processes. ​All batches we produce are sent to one of our authorized 3rd Party Labs for complete analysis and verification of the internal lab test results that we conduct in-house and include with all orders. ​All of our CBD oils, extracts, concentrates, and finished products are manufactured in one of our GMP or ISO certified facilities with the highest quality control measures in the industry. Zero means absolutely no detectable levels of THC. We distribute one of the only full spectrum CBD oils that contains zero THC and is not diluted down or recreated using a pure CBD isolate. ​Our proprietary extraction process uses the entire plant for a full-spectrum oil, containing a large amount of naturally present cannabinoids such as CBG, CBN, CBC, THCA, CBDA, and over 60 terpenes we have identified that are naturally present in our extract. We use the latest extraction technology which allows for high levels of cannabinoids especially CBD, CBG, CBC, and CBN, while eliminating unwanted amounts of THC and chlorophyll. On-site chromatography testing ensures accurate levels of phytocannabinoids and confirms the absence of THC through our proprietary processes. ​All of our CBD oils, extracts, concentrates, and finished products are manufactured in one of our GMP or ISO certified facility with the highest quality control measures in the industry. Our phytocannabinoid rich CBD edible products are created with either CBD crystalline isolate or zero THC full spectrum oil. These products include gummies, candy, soft chews, caramels, and food bars. All edible products are infused and NOT coated. Our hemp CBD syrups are made using our pure CBD oils, full spectrum CBD oils, isolates, and water-soluble CBD liquids. All syrups are custom formulated, bottled, and packaged in our GMP certified facility. We can provide you with any flavors or ingredients such as melatonin, kava, stevia, or any other botanical / nutraceutical ingredient you would like formulated with your CBD syrup. Let our expert team of Skin Care formulators provide your company or brand with the finest Skin Care products infused with the highest grade organic hemp derived cannabidiol (CBD) in the world. Our Phytocannabinoid Rich (PCR) soft gels are created with our patented water-soluble liquid with customized potencies of CBD, CBG, CBN, CBC, and other rare cannabinoids, and terpenes. This product contains standard sizes of 10 mg, 25 mg, or 50 mg of active cannabinoids per dose and is designed to have optimum bioavailability and maximum absorption. Custom w/cbd-crumble-wax-shatter/hite label & private label available. This full spectrum, full flower concentrate is carefully refined to create this concentrated CBD wax dab crumble, naturally loaded with terpenes and cannabinoids like CBG, CBN, CBC. CBD content between 25% - 80%. Custom potency available. ​This product is perfect for dabbers to "tame THC" by combining the influential effects of terpenes with pure CBD crystals. This product contains zero THC, 10% terpenes, and 90% pure CBD crystal isolate. Available in bulk or wholesale quantities only - infused with the terpene strains of your choice. ​Our pure CBD Isolate is a crystallized powder with CBD concentration over 99%. The product is oil soluble (not water soluble) and without any off-taste/earthy flavor typical of hemp oil, thus suitable for edible, vape, cosmetics, and liquid formulations. Our Patent-Pending water soluble CBD is a liquid nano particle sized formulation with the smallest particle size of any water soluble cannabinoid product on the market. The cannabinoids are completely water soluble and dispersed immediately when combined with virtually any liquid. Available in full spectrum (all synergistic cannabinoids and terpenoids), or available in a water soluble CBD isolate formulation. ​Our Patent-Pending water soluble CBD is a liquid nano particle sized formulation with the smallest particle size of any water soluble cannabinoid product on the market. The cannabinoids are completely water soluble and dispersed immediately when combined with virtually any liquid. Available in full spectrum (all synergistic cannabinoids and terpenoids), or available in a water soluble CBD isolate formulation. CBD Oil From the Source. Pure, Natural, and Organic! We distribute phytocannabinoid rich CBD raw materials and finished products in bulk and wholesale exclusively for our partners who are the largest Department of Agriculture registered phytocannabinoid rich industrial hemp farms in the USA. Our farms are located in Colorado, Oregon, & North Carolina. We have the Best Quality Guaranteed & We can and will beat ANY competitor's quality and prices! Learn more about how we can provide your company or brand with the very best, reliable, and consistent bulk and wholesale supply of ORGANIC, full spectrum, fully legal, U.S Farm Bill 2014, section 7606, as well as U.S. Farm Bill 2018 industrial hemp derived phytocannabinoids naturally rich in CBD, CBG, CBN, CBC, and over 100 synergistic terpenes, flavonoids, and every single essential amino acid! We offer high quality, American grown pure CBD, produced and processed CBD, bulk and wholesale CBD products including CBD Oil, CBD Crystals, CBD Resin, CBD Crumble, CBD Dab Wax, CBD Patches, CBD Vape Oil, CBD Pills, and Water Soluble CBD Products for Sale. All of our organic CBD rich products are shipped by FedEx, UPS within 24-48 hours domestic (all 50 states) or internationally providing the highest quality of customer service. All orders also include full Certificates of Analysis from both our lab, as well as 3rd party lab test results. We ship our pure CBD, Hemp Oils, Terpenes, CBD Powders, CBD Coffee, CBD Edibles, CBD Gummies, CBD Tinctures, CBD Water Solubles, CBD Cigarettes to Japan, China, Hong Kong, Vietnam, Taiwan, Malaysia, India, Asia, Australia, New Zealand, Mexico, Costa Rica, South America (including Colombia, Argentina, Peru, Brazil, Uruguay, Ecuador), Canada (all provinces), Europe/EU (including England / United Kingdom, Ireland, Scotland, Netherlands, Germany, Spain, France, Portugal, Poland, Italy, Switzerland, Ukraine, Greece, Austria, Finland, Norway, Croatia, Denmark, Belgium, Romania, Iceland, Hungary, The Baltics) and South Africa.